Good. Squanto And The Miracle PB by Metaxas Eric, 2012-08-28. Trade paperback (US). Sewn binding. 40 p. Contains: Illustrations, color. Intended for a juvenile audience. Metaxas, Eric, and Stirnweis, Shannon. Very Good. 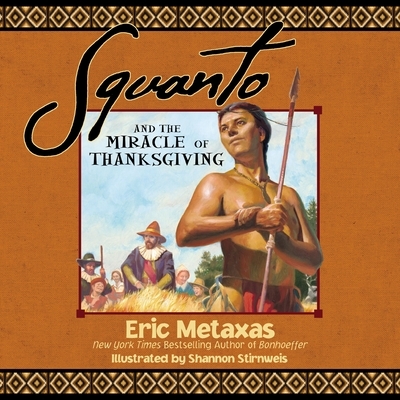 Squanto and the Miracle of Thanksgiving by Thomas Nelson Publishers. Picture book. Sewn binding. Cloth over boards. 32 p. Intended for a juvenile audience. The true story of that first Thanksgiving! This is a WONDERFUL book -- an historical treasure. If you want your child to be in awe of the miraculous beginnings of America, then purchase this book! The story line is very well written and researched. The illustrations reflect the same desire for integrity and quality. You think you know the story of Squanto? I did, too. Read the truth and be blessed in the reading!